Barry Jenkins writes and directs this drama starring Trevante Rhodes, André Holland and Janelle Monáe. The story is divided into three different timelines, each focusing on Chiron - played by Alex R.
Hibbert, Ashton Sanders and Rhodes - at different stages in his life. As a child, Chiron is nicknamed 'Little' because of his diminutive size and shy demeanour. 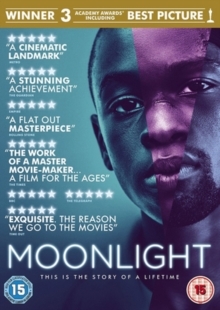 He struggles with bullying at school and becomes involved with a drug dealer and his girlfriend who look after him when Chiron can no longer bear to be around his abusive mother Paula (Naomie Harris). As he also begins to explore his sexuality, Chiron grows into his teenage years and becomes a more resilient adult, but the travails of his upbringing and the experiences of his younger years may never truly leave him. 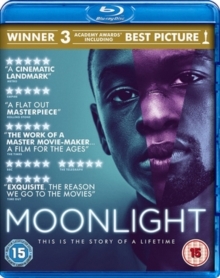 The film was nominated for four BAFTAs, six Golden Globe Awards, winning for Best Motion Picture - Drama, and eight Academy Awards, winning for Best Picture, Best Supporting Actor (Mahershala Ali) and Best Adapted Screenplay (Jenkins).